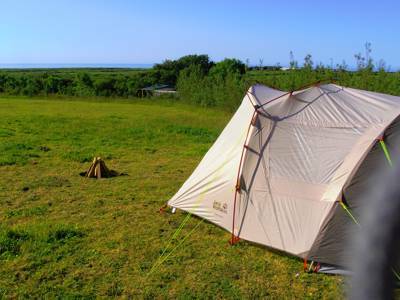 Peaceful Cornish camping near Porthleven and Helston. Granary Barn is a customer driven site consisting of two small meadows and one larger one where guests can choose where to stay and where to pitch. 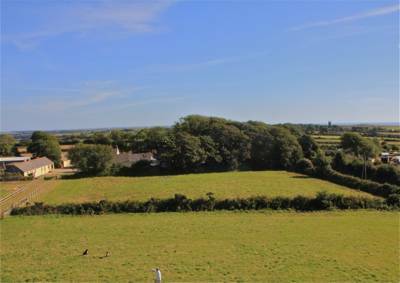 The fields are well-maintained, flat and surrounded by beautiful countryside in a secure and safe location. 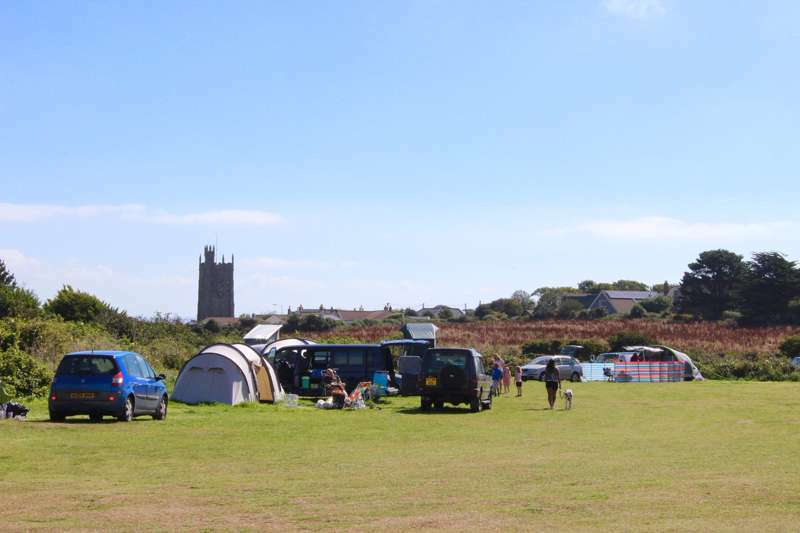 Book this pitch for your campervan in a peaceful Cornish location near Porthleven and Helston. Granary Barn is a customer driven site consisting of two small meadows and one larger one where guests can choose where to stay and where to pitch. The fields are well-maintained, flat and surrounded by beautiful countryside in a secure and safe location. Helston is Cornwall in microcosm. Home of the fabled May-time 'furry dance', the county's second oldest town is a picture-postcard patchwork of pasty shops, ancient pubs (like the 15th century Blue Anchor Inn), and charming old miners' cottages which once housed some 1,000 workers from the local Wheal Vor tin mine. This is the essence of Cornish culture. And while you can spend hours ambling its steep serpentine streets en route to the harbour at Porthleven, hop in the car and head westwards through ceaseless fields of green to the small outlier hamlet of Sithney, home of the beautifully secluded 18th century farmhouse, Granary Barn. 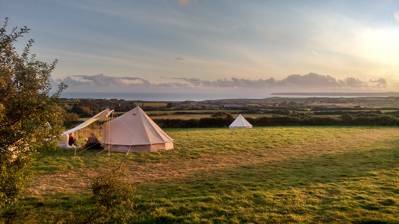 Many campsites round these parts have plenty to shout about, be they captivating sea views, artisan farm shops, or über luxurious abodes. But perhaps Granary Barn's greatest asset is affable owner Tom. Warmly greeting guests, this easygoing host is hospitality personified. As Tom puts it, "This is a personality driven site, I want the campers to engage with me, share their day. I want to provide students and anyone else with the chance to have a holiday at my prices which are pitched at affordability. 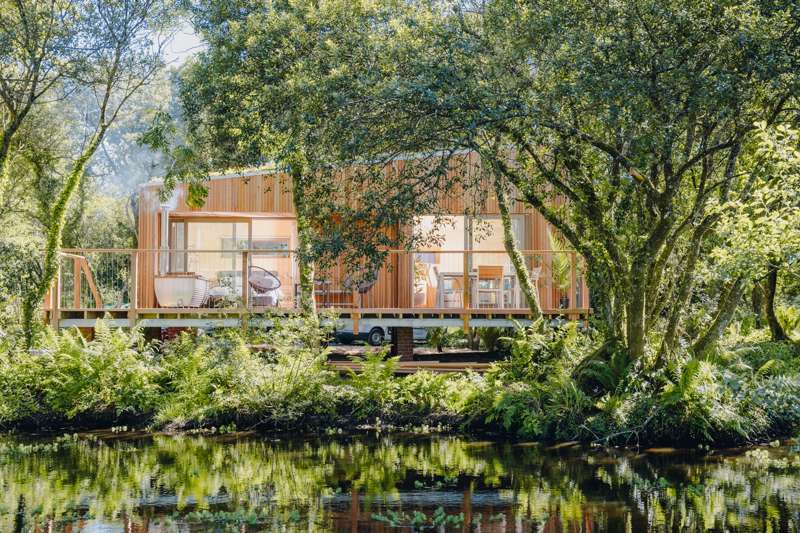 Money may be tight, however it is still possible to have a break in Cornwall, with a friendly site owner who while they are here, is their new best friend!". As befitting it's breezy host, there's a refreshingly informal attitude to pitches. 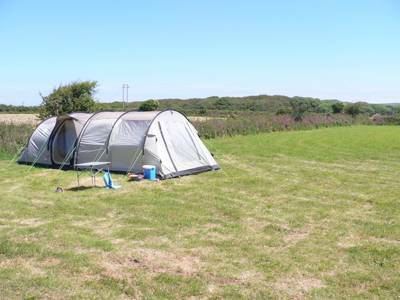 Tom lets campers pitch up where they like – for there's really no need for regimented spots when you've got a trio of spacious fields like this. Thankfully this refreshingly cavalier philosophy doesn't extend to the facilities which, although basic, are immaculately maintained. Bins are emptied daily and toilets and electric showers are scrubbed diligently – attentive Tom prides himself on it. Should the weather fail to read the script, Tom will even let you bunk down in the backpackers hostel (availability permitting and for a small fee). This cushy dormitory sleeps eight (on single beds) with a communal kitchen and lounge area. Tom calls the farmhouse home and is on call 24 hours a day ("give me a bell if you need anything... even it's three in the morning!"). But unlike some campsites we could mention, Tom's relaxed vibe and no curfew rule means groups are free to kick back and relax to the wee small hours, losing yourself in the unblemished night skies of the south-west. 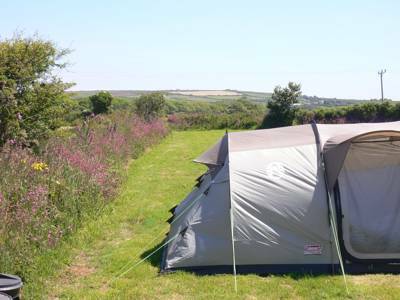 A warm welcome is guaranteed at this refreshingly traditional, much-loved campsite between Helston and Porthleven. As befitting as Granary Barns' breezy host Tom, there's also a refreshingly informal attitude to pitches. Tom lets campers pitch up where they like – for there's really no need for regimented spots when you've got a trio of spacious fields like this. Thankfully this refreshingly cavalier philosophy doesn't extend to the facilities which, although basic, are immaculately maintained. 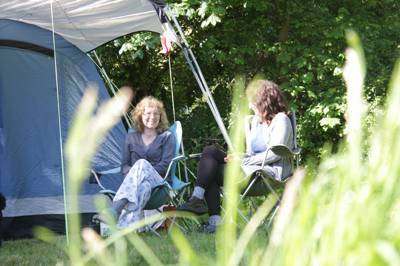 For latest availability and best prices for Granary Barn Camping, please use the Date Search above. A scattering of informal pitches spread across 3 flat, well-trimmed fields. 5 pitches available for campervans. There is also a backpackers hostel, plus an adjacent farmhouse B&B. Toilets with shower room. Laundry facilities and fridge in the barn. Water points and rubbish bins dotted conveniently around the camping fields. Campfires and BBQs permitted provided they are raised well off the grass (fire-pits and stands for hire). The historic harbour village of Porthleven is just a few minutes drive. With its 3 mile sand and shingle beach, traditional net lofts and fisherman's cottages, Britain's most southernly port makes for a lovely summer's stroll. The Lizard Peninsula shows the Cornish coast at its most dramatic. Watch the waves crash into this rugged outcrop and if you're feeling adventurous, Lizard Adventure (07845 204040) specialise in all manner of outdoor pursuits including sea kayaking, coasteering and cliff climbing. No visit to this stretch of Cornwall would be complete without crossing the tidal causeway to St Michael's Mount (01736 710507), a fairy-tale island immersed in myth and legend. Tour the medieval castle, visit the Civil Ware gun batteries, or simply marvel at the views from the sub tropical gardens. St Ives' breathtaking Blue Flag–approved beaches are also within easy reach. Porthminster is among the UK's finest, while the surfers spot of choice is Porthmeor. If you're in the area and fancy a bit of culture, Tate St Ives (01736 796226) features some fine contemporary and modern art within a magnificent former gas works. The nearest pub is The Ship Inn (01326 564204) on Porthleven Harbour and is straight out of Cornish folklore. The food's not bad either, with a selection of pub grub faves and locally-caught seafood dishes. Quirky Kota-Kai Bar Kitchen (01326 574411) boasts an eclectic menu spanning tapas to Thai. They also host movie nights, have a skittles room and kids eat free every day between 5.30 and 6.30pm. For something a bit special, Amélies at The Smokehouse (01326 554000) takes some beating. Pitched on Porthleven's scenic harbourside, the panoramic views provide the perfect backdrop to a lazy Sunday lunch of wood-fired slow roast leg of lamb or whole stuffed mackerel with prawn butter. The Goldolphin Arms (01736 762879) is probably the nearest pub. £5 per person per night with no age concessions. 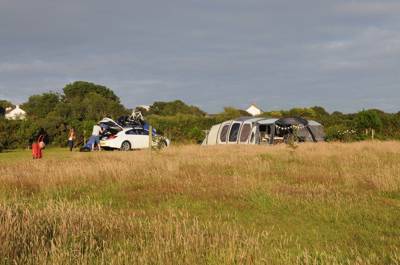 £20/Night - High Season for Campervans. £15/Night - Mid/Low Season. School Holidays £7, £3 in low season. Showers £2. 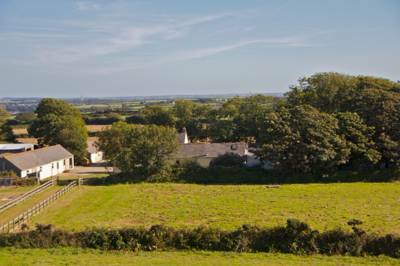 Granary Barn is on the B3302 Holiday Route on the Helston to Hayle Road, 500 yards south of Sithney School and opposite a Plant Nursery. From Helston: pass the Lidl Supermarket on the left and carry on up the hill (A394). At the top of the hill, turn right onto the B3302. After 1 mile, opposite the Plant Nursery, turn right into an avenue of trees. The Farmhouse is at the end on the left. From Camborne: at Sithney School, turn left onto B3302, until opposite Plant Nursey, turn left into the avenue. Bus service to Sithney village which is a quarter of a mile away.